Looking for the perfect way to express your love and devotion? Explore 'Romancing the Clay' ... created just for lovers. If you've ever seen the movie 'Ghost', then you will know that sizzling pottery scene. 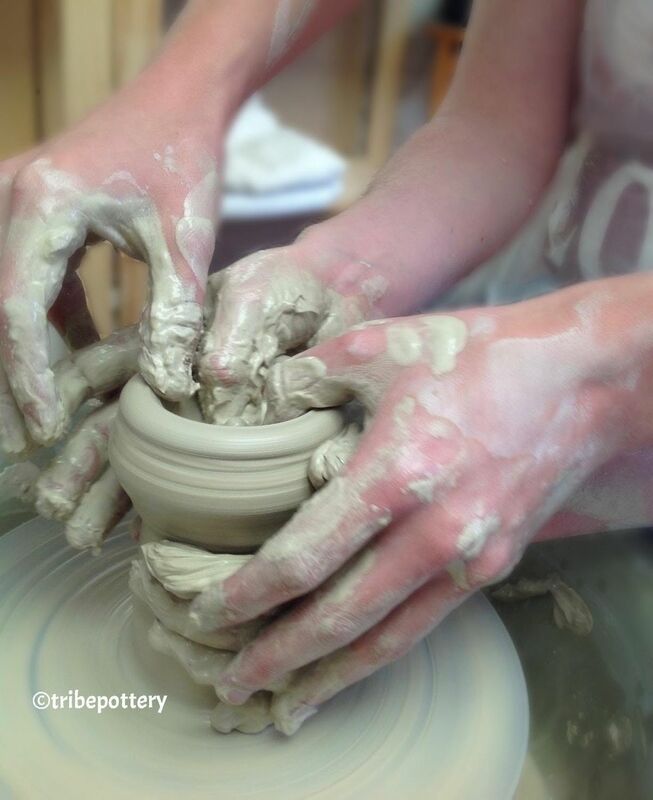 Come create your own raunchy pottery scene and get romancing! It's the ultimate experience you'll always remember. Perfect for same gender couples, newly weds, Engagment presents, Valentine's gift, 9th Wedding Anniversay, or simply because you just want to show your devotion. Package includes snap shots taken during the 1-hour session, along with a bowl form made the two of you on the potters wheel. And to add that romanic touch, you'll get to carve your initials on the pottery piece. Recent feedback: "It's the perfect blend of fun and romance". Come discover for yourself! Ages 16+. Ticket price is for two persons (one couple). Package includes: clay, wheel use, item preparation, glaze, kiln firings, snap shots and finished item/s. Each session is 1-hour and consists of a 5-minute wheel demonstration plus a 55-minute wheel throwing session. 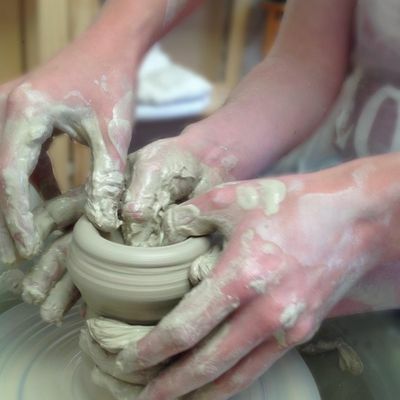 The potter will have prepared clay on the wheel ready for you to re-enact your very own ‘Ghost’ pottery scene. When the magic is experienced and snap shots taken, you can make a bowl from the shape you’ve created together, including other items that arise from the experience. 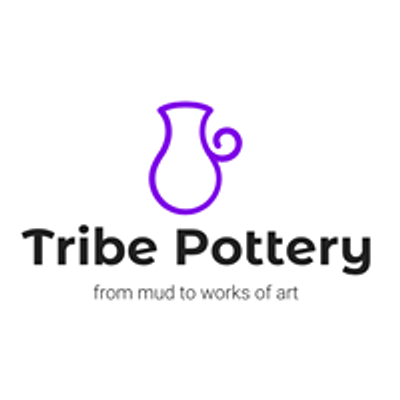 Once your item/s is made and the session over, the potter will finish off your item/s (trimming and preparation), glaze and perform a final firing ready for collection roughly 8-12 weeks later. All events must be booked and paid for in full at the time of booking and at least 48 hours before the event date. Late bookings will be taken at the discretion of the potter. Cancellations with less than 7 days notice will not receive any refund. The potter will have prepared in advance for the number of people who booked. Cancellations up to 30 days before the event start date will receive a 100% refund. Cancellations up to 7 days before the event start date will receive a 50% refund.